Zac Gunther, Co-Founder and Deal Lead here at Midway Ventures, sat down for an interview with Rho Kook Song, the CEO and Co-Founder of Freenters. 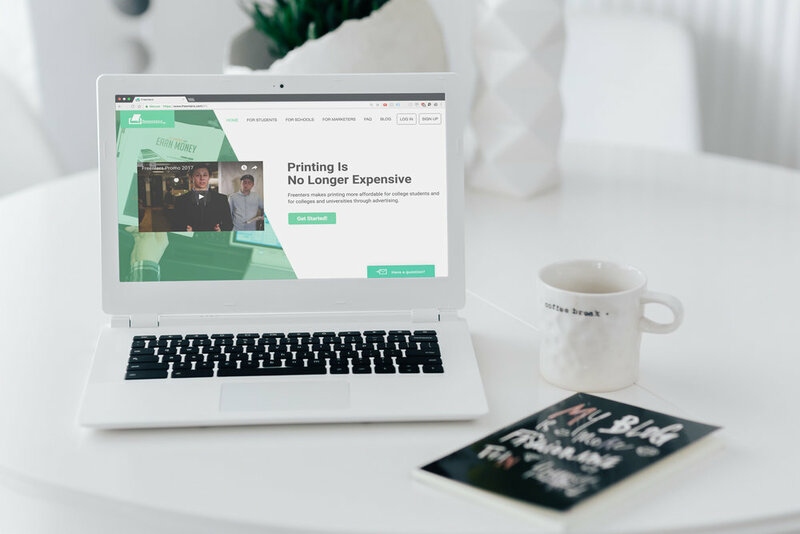 For those of you who don’t know, Freenters is a Chicago-based startup that began as a free printing service that installed kiosks at the University of Chicago. These kiosks offered free printing, but placed advertisements at the bottom of the pages that it printed. The startup has switched to a software model that pays users, in any location, who print with advertisements. Without further ado, here are the main takeaways from Zac’s talk with Rho Kook (for those interested, the full interview transcript is available here). Many of you might be struggling with the choice between entrepreneurship and more traditional careers, and might be inspired by the fulfillment Rho Kook has found after his own decision. He got seriously involved in entrepreneurship after a post-first year summer internship at an investment bank, which to him was “repetitive and boring,” and left him feeling as if he “wasn’t creating any substantive value.” This came to a head after his second year, when he made the tough decision to turn down another banking offer in favor of starting a company with his friend. As anyone who’s tackled the challenge of customer acquisition would know, Rho Kook’s initial efforts were gritty and labor-intensive. Whether it serves as inspiration to work hard, or a lesson to be more efficient, here is Freenters first approach to customer acquisition. To install kiosks, Rho Kook and his team had to find the decision makers for each academic building, and individually get their approval to place a kiosk in their building. To find businesses that would pay for ads, the Freenters team would simply walk into Hyde Park businesses and try to convince owners to pay for ads. Rho Kook emphasized acquisition over profit, discussing how they offered free trials and steep discounts to businesses simply to get enough advertisements to seem like a legitimate business to users. The next step was getting word out to users. Again, the process was informal and messy, but eventually effective. Rho Kook and his team handed out fliers and got professors’ permission to address classes. They signed up 500 people (roughly 10% of the undergrad population at UChicago) on the first day! Another lesson, this time regarding compensation, also came from the CTO position. The CTO’s were paid in stock, and the first one (of several) had no vesting preferences, a mistake that became costly stumbling block for the Freenters team when the appointment went south. There were also important lessons to be learned from the crisis that Freenters faced after the summer of 2013. An anonymous hacker took down the Freenters website and distributed user information. Naturally Rho Kook had to deal with panicked calls for the University and students, and at this point the startup didn’t even have a CTO on board. A major mistake that Rho Kook made was to not let his investors know until he felt he had the problem under control. Not only does this have legal ramifications, but also his investors were seriously angry that they didn’t know about the problem immediately. Freenters bounced back, hiring a new CTO mid-crisis and re-launching 2 months later with improved security on their website. Driven by the concerns of VCs, customers, and their own team, Freenters has decided to pivot to a software model. They have been emphasizing market validation, and have realized that the kiosk model lacks scalability and also lacks the demand that software has from consumers. Rho Kook stressed that startups should “validate the market early on, (and) fit the product to what the market wants.” Freenters has entirely scrapped its old business model, no longer buying and leasing hardware, selling to students, and marketing to advertisers. Instead the users now must supply the hardware, and Freenters is marketing heavily to students and advertisers alike. These are some of the issues that were the most important to us, but we encourage you to check out the full interview here! Rho Kook is an incredible and well-spoken young entrepreneur, and you’ll find the whole interview is full of insights and interesting details.